Little Flock — Community Meat Co.
Little Flock is a small scale pastured poultry operation owned and managed by us, Meg Grevemberg & Gus Darnell. 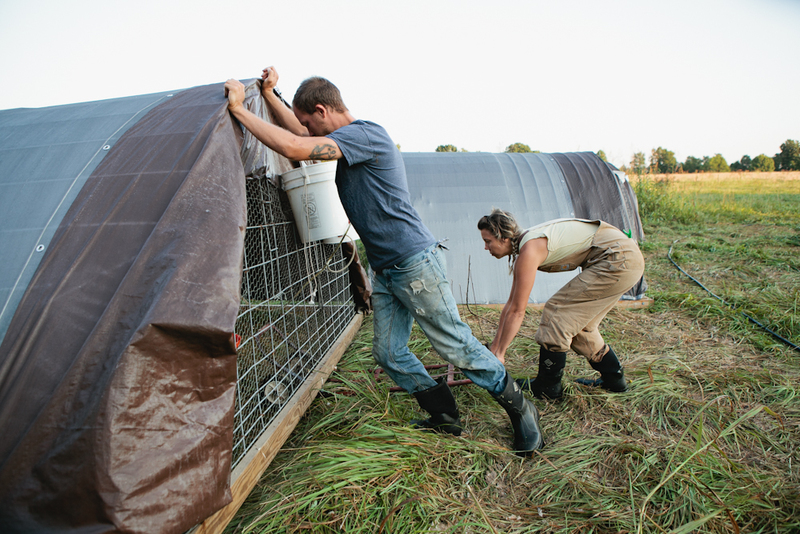 In 2013 we did a 9 month stint at WE Farm outside of Bloomington, Indiana where we learned about raising cattle, hogs, chickens, turkeys, & rabbits. Now back in Athens we've been operating CMCo for the past three years & are excited to say that in the beginning of 2017 purchased our first home/farm. We are looking forward to continuing to grow over the next few years. Our farm is on 16 acres in Colbert, GA off of highway 72. All of our chickens are raised on pasture and moved daily so they always have access to fresh grass, insects, worms, & grubs. The daily moves also allow us to control their impact on the pasture so they fertilize without having an over concentration of waste. Better for the birds and better for the pasture! Their foraging is supplemented with a mixture of certified Organic, soy free grains, & minerals so that they have a balanced diet. 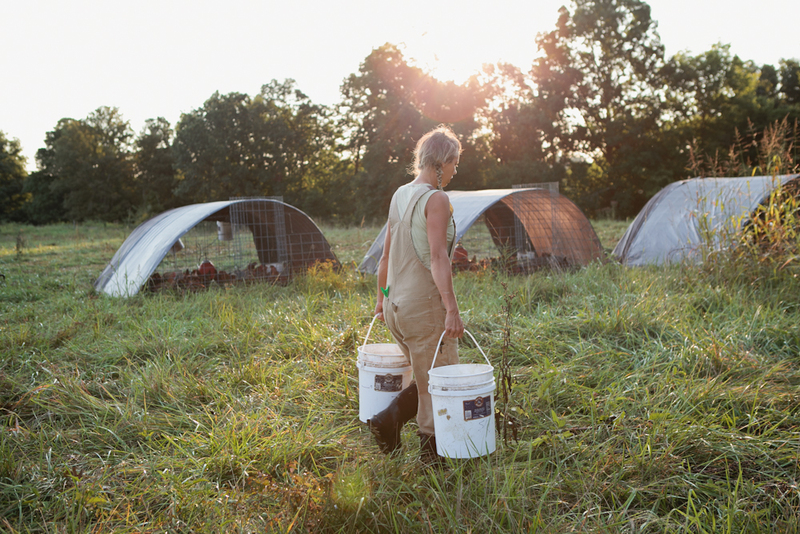 The chickens are never given hormones or antibiotics and are humanely handled and cared for. We encourage any and all to come visit the farm as we are not certified by any third party agencies and rely on you, the consumer, to be our certifiers.